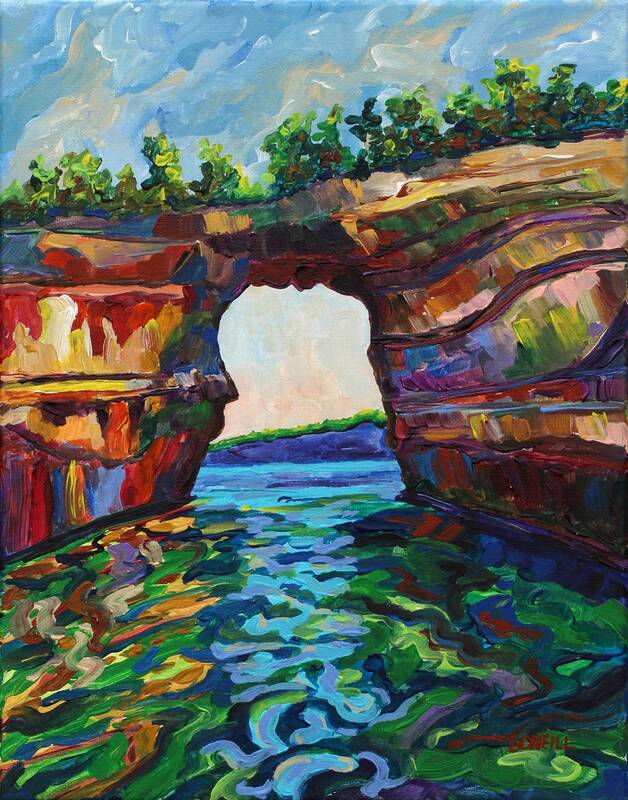 This is a giclee print of the Pictured Rocks of Munising located in the upper peninsula of Michigan. These beautiful sandstone cliffs hug the shoreline of Lake Superior, the most pristine and deep lake of the Great Lakes surrounding Michigan. Kayaking tours, water falls, dunes and miles of trails call to the nature lover and explorer.